Parrish Homes & Pools, Inc. Welcome to our web site. Please feel free to contact us if we can be of service. Thank you for visiting. 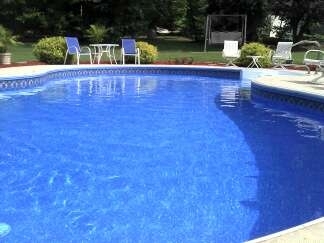 At Parrish Homes & Pools, Inc. we build, remodel, repair & service all types of swimming pools, commerical and residential. We have the experience to provide you with a top quality job. More than seventy seven years combined experience from just three of our key personel. We are a multi-generational company with family members from the office to the job site. We pride ourselves on quality and customer satisfaction through a job done right. A member of our family works on each job or directly supervises the work. We treat each project as if it is our own. We serve Randolph, Guilford, Davidson, Forsyth & Alamance counties including cities such as Archdale, Asheboro, High Point, Trinity, Thomasville, Lexington, Winston-Salem, Randleman, Greensboro, Burlington, Denton, Ramseur & all towns in between.